Smith Mountain Lake is the ideal destination to have fun and escape from everyday worries. Located just 30-45 minutes from Roanoke and Lynchburg, Smith Mountain Lake provides over 500 miles of shoreline and over 20,000 acres of crystal blue water. Nestled in the Blue Ridge Mountains, SML lives up to its “Jewel of Blue Ridge Mountains” nickname and has much to offer its residents and visitors year round, making it a true Virginia gem. Friendly communities, plenty of outdoor recreation destinations, and exceptional golf courses surround the area of Smith Mountain Lake. This area is known for its highly sought-after real estate and for having some of the region’s most beautiful homes. Moving to the lake lets you enjoy a lakefront lifestyle and all the amenities to go with it, not to mention a mild climate perfect for all types of recreational activities such as golfing, biking, boating or horseback riding. If you enjoy riding horses, you will definitely want to be here. Picture yourself horseback riding at sunset with the panoramic peaks of the Blue Ridge Mountains in your sights. If you have not had the chance to explore the area on horseback, consider doing it now! Many of the stables in Smith Mountain Lake offer scenic trail rides for riders of all experience levels. This peaceful and fun activity will really put you in touch with nature and provide some unforgettable memories of SML. Located just minutes from the lake you can find the Smith Mountain Lake Farm and their staff of experienced riders available to guide you on some amazing group tours or private rides. 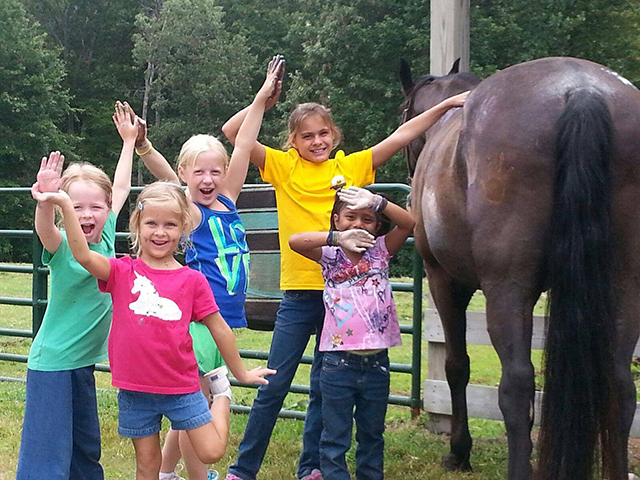 Whatever your skill level, the stables at Smith Mountain Lake are available to give you a memorable experience! Other equestrian facilities include The Water’s Edge Equestrian Center, Shadow Ridge Stables, Fox Creek Saddlery, and more. Please feel free to browse my website for more information on activities and real estate located at Smith Mountain Lake. It is truly a wonderful place to live, raise a family, and enjoy your golden years. If you are considering a move, please contact me with any questions. I know that with my experience and dedication, I can help you buy or sell your home here. Give me a call today!